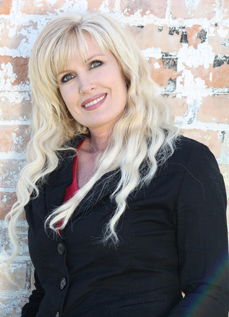 Hello, I'm Lisa Kelling and I'm thrilled to tell you about VPDealz.com. VPDealz is a online service that sells deal vouchers on your behalf putting money in your pocket and new customers through your door. VPDealz.com is focused on generating sales for our customers. Take a few moments and find out why you ought to use VPDealz year-round as your deal marketing service. Reason #1 - VPDealz is Your Personal Deal Site. 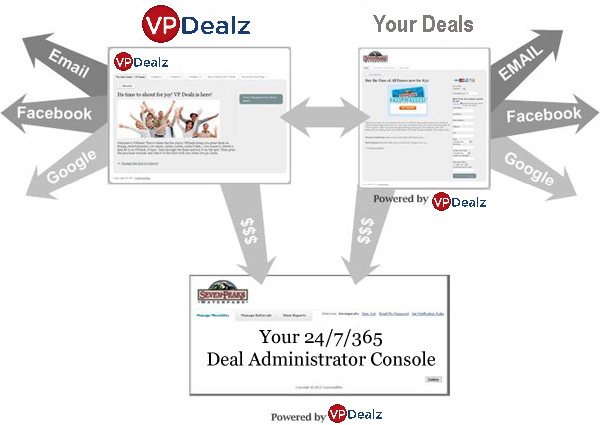 VPDealz markets your offers through your own personal deal site complete with email marketing and facebook hooks to maximize sales. Behind the scenes, you have your own personal deal management console where you can manage all your deals, and track purchases in real time as they happen. Reason #3 - Like-Price: Using the Power of Facebook! VPDealz lets you offer an additional discount when buyers click the Facebook "Like" button integrated with your deal offers. Getting your buyers to click "Like" spreads your deal to thousands of their friends! Click Here and fill out the form to get more information about pricing and how to get started, We will contact you with more information about creating an account and how our business model works!